Looking for a printing company to get personalized boxes made exclusively for your brand? Your search ends here. RegaloPrint is the premium class printing company with international prestige and clients dotted across the world. We print customized kraft paper, corrugated sheets and boxes, card boxes, cardboard boxes and paper bags of all shapes and sizes that represent products of a wide range. We encourage clients to be more creative with their printing ideas to attract the customers. ISO and FSC certified, you can be assured of the quality of the boxes. At RegaloPrint, we offer nothing but the highest quality printing and boxing services to our clients regardless of their industrial association. There is no minimum order specification so however small or large your order is, we will accommodate you with the world-class service standards. There are thousands of color and design choices you can pick to print your custom boxes. 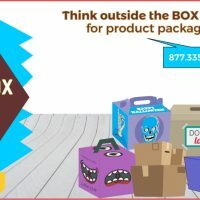 Are you wondering why your product needs a custom printed cardboard box? A customized printed box is a more intimate way to present your brand. We enable our clients to design the visual representation of your brand as per their business goals. In today’s technology embedded world, people have vast visual imagination. If the print on the boxes is appealing and conveys the theme of the brand than it’s sure to be successful. We do not guarantee boost in sales because that would depend on your product quality but we do promise to project the best positive brand image. It is also a great opportunity to spread awareness about your brand’s operations and its beliefs. Because being a part of the current economy, you will agree that a positive message and a strong belief appeals to masses more than ever. Another benefit served by these custom printed boxes is that they are easy to identify and spot in warehouses and physical stores. How many times do we recognize a product based on the wrapping box anyway?